TTVJAudio carries the finest headphones currently in production. We also have a price match policy where you can send us the quote you have from a competitor and we will match it or better the deal! The current models of Planar Magnetic headphones from Audeze and HiFiMan are some of the best headphone currently available. They are excellent and get our highest recommendation. Hifiman Sundara sets a high bar for sound under $500! The MrSpeakers Aeon Flow Open headphone represents a great headphone and a great value! Where Audeze high end headphones began - the newest generation of the excellent LCD-2! The Ananda is a lightweight,easily driven planar headphone with great sound from HiFiMan! 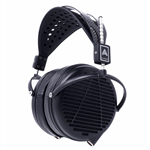 Audeze LCD-X Open Planar Magnetic Headphone - accurate and revealing! 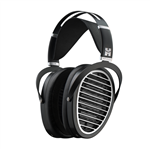 Audeze LCD-XC closed Planar Magnetic headphone. Closed headphones never sounded so good! A great new headphone from MrSpeakers - the Ether Flow is awesome! The Ether C Flow is a great new version of their closed back headphone. A real winner! The new HE6se - limited to 700 headphones - order yours before they are gone! The Ether2 is an excellent Planar Magnetic headphone from MrSpeakers! The new HE1000 V2 takes an already great product to an even higher level! Amazing headphones from Meze - the Empyrean is for the Audiophile with discriminating tastes! The HiFiMan HE1000SE brings a more efficient headphone with outstanding detail and soundstaging to high end headphone listening. The Final D8000 is a great sounding Planar Magnetic headphone! 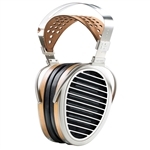 New top of the line planar magnetic headphones from Audeze! The Audeze LCD4Z is easy to drive aT 15 OHMS and lighter weight than the LCD4! 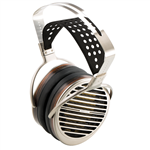 The HifiMan Susvara planar magnetic headphone is the new top of the line headphone from HiFiMan. Listening to your music collection is a daily reprieve from the ordinary. When playing your records out loud isn't possible, delivering the acoustics through planar headphones is an experience unlike any other. These headphones aren't the standard earbuds offered by retailers today. Planar magnetic headphones use advanced designs to create lifelike music. The secret is within the film hidden inside the headphones. Aluminum traces etched into this film will react with the internal magnetic field. The results are a diaphragm that vibrates with intensity into your inner ear. Planar driver headphones take you to places in your mind if you just close your eyes. Enjoy a wide variety of orthodynamic headphones in TTVJ's inventory. Styes and colors may vary, but the quality doesn't budge from perfection. If Todd isn't happy with his music, he'll seek out the best magnetic planar headphones in the marketplace for you.